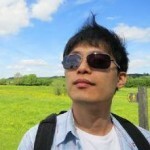 Paul Lam is a data scientist based in London with a background in biomedical engineering and algorithmic trading. He spends most of his time extracting features from unstructured data on scale or building data workflows to make big data useful and accessible for the business. He speaks about data science and engineering at various conference and meetups in Europe and also blogs at http://www.quantisan.com. Paul is a contributor to a number of open source projects, including a MapReduce tool called Cascalog used in production by numerous companies to process vast amount of data.